It is a question that is asked of him at almost every Comic-Con press session. And after 27 years, that is a LOT of Comic-Cons. However, as someone who “knows Matt”…or at least knows a lot of people who know Matt…or his sister…I feel that I can have a vetted and valid voice in the discussion, and have made it my life’s work (OK. That is a huge exaggeration…but it is an election year), to find out the answer!! Now, I know that there are a ton of you out there who would like to lay claim to this honor. 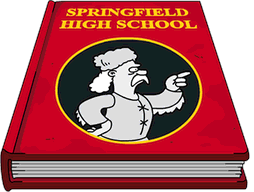 There are a TON of Springfield’s in the world. Trust me. And if you don’t trust me, then take a look at this WIKI page. That’s right. There are Springfields in every shape and size…across the entire world!! (or at least in places where they can pronounce the word “Springfield”). 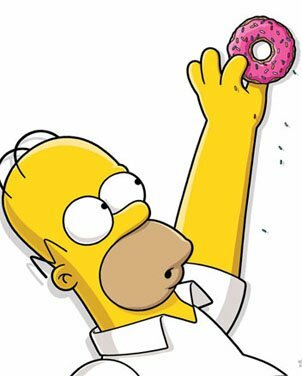 But, as I will reveal over the course of several installments, I believe with my donut-fattened heart, that the REAL SPRINGFIELD is in Matt’s Home State (mostly) of OREGON!